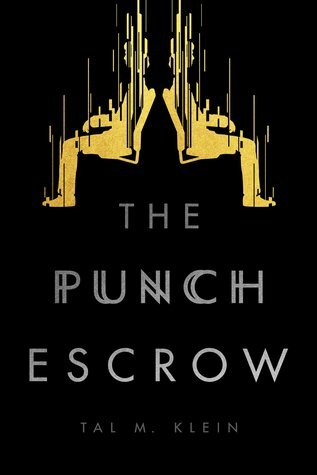 The Punch Escrow (TPE) currently holds a record place in my library, as I finished it in five days, which for a slow reader like myself is a huge statement. I couldn’t put this book down, and now I’ve read it understand why people have been comparing it (stylistically) to Ready Player One. The novel is set in a somewhat distant future (2147) where teleportation has become the dominant form of transportation. It follows Joel Byram, a salter (he teaches AIs to be more human through mind games), as he’s drawn into a conspiracy that threatens the world order and forces him to question who he really is. The novel is hard sci-fi and the author (Tal Klein) has done some heavy-lifting in the world building. There is enormous depth to the society he has created and the science that keeps it humming. An interesting style-choice Klein has chosen is to include regular footnotes to explain various aspects of society, history, or science as it is referenced. This wouldn’t always work — these footnotes can be huge info dumps — but in the context of TPE it feels authentic (and the explanations are fascinating. The story is told directly by the main character, in the form of a message he records for others to find so the “true story” won’t be lost. This is a nice approach, as it lets Klein provide us more than one point of view while staying firmly in Joel’s voice, which is delightful. It also means all those footnotes I mentioned are also explained in character, which is part of the reason they don’t become boring. I loved this book from beginning to end and can see why it’s been building so much hype. If you enjoyed Ready Player One, or fast-paced hard sci-fi with a sense of humor, I recommend picking this book up. You can find it on Goodreads here, Amazon here, or Book Depository here.